of the death tree and its erstwhile lover. like a girl’s long hair cut short. scurrying in the roots and butterflies cocooning on the leaves. a nest of memory filled with tokens for their auguries. What part of themselves did these souls, these ghost riders, misplace? where twin hearts await, eager to blossom once more? 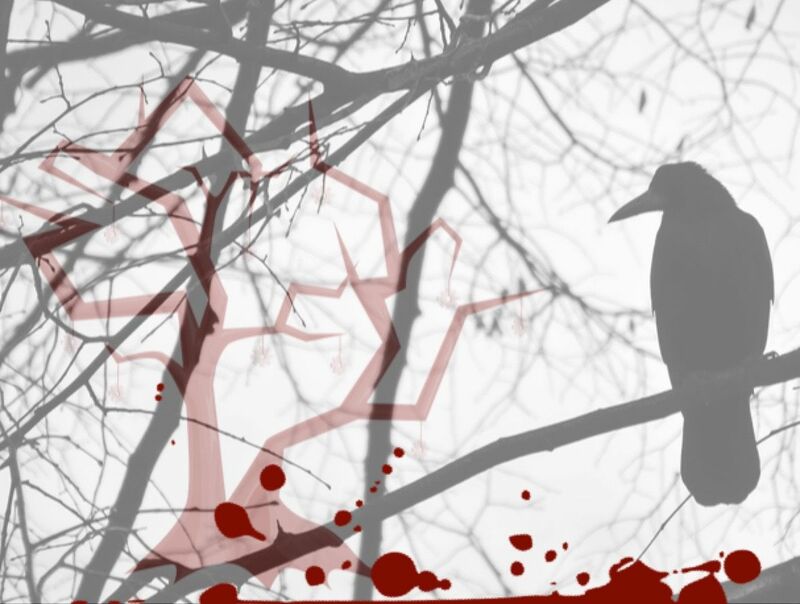 Editor’s Notes: A death tree, blood splatter, and crow collage to create an ominous black on white image contrasted with the red.